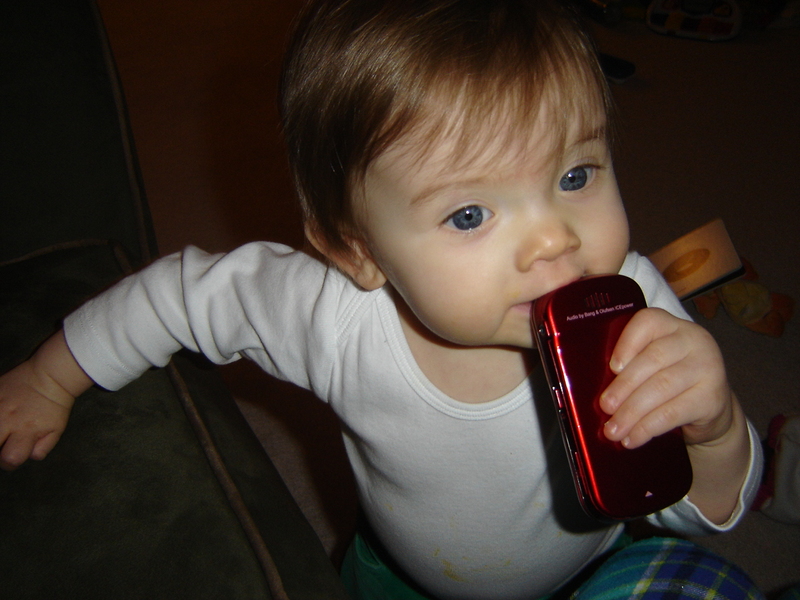 Hadley’s two favorite toys- my red cell phone and the…. remote control. No matter what we try to replace them with- these are the two things she will go after every time. It was quite funny tonight when she was holding the phone and it rang. Completely startled by the noise. 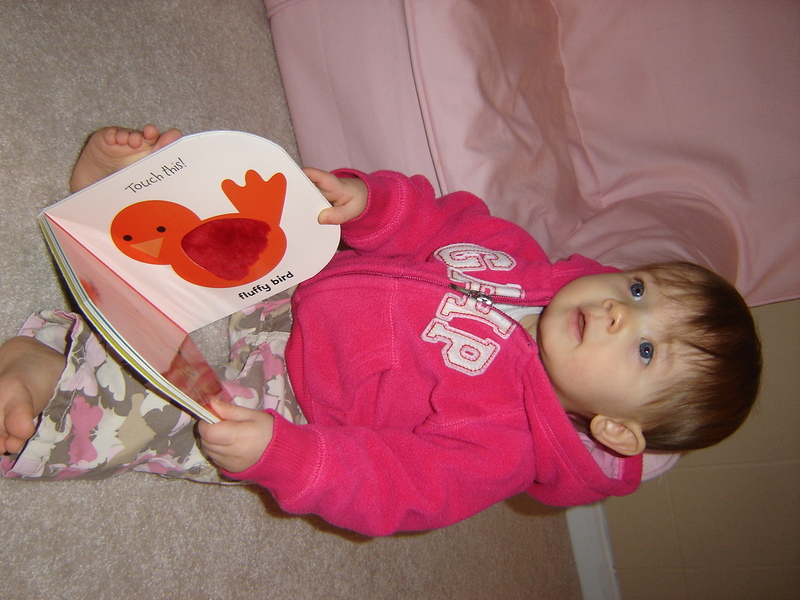 This week- her favorite activity is to ‘read’ herself books. She babbles and turns the pages. If one of us, tries to actually read the book to her- she either leaves or tries to quiet our reading with her noises. So, not much real reading has taken place this week but at least she appreciates the books! She is taking more steps every day but when she needs to get somewhere quick- crawling is still the best way. ← I would really like it to be spring…. it is pretty funny to watch her ‘read’ to herself and she gets peeved if you try and really read to her. hopefully she is getting a love of books! That is so cute! My niece and nephew are the same. 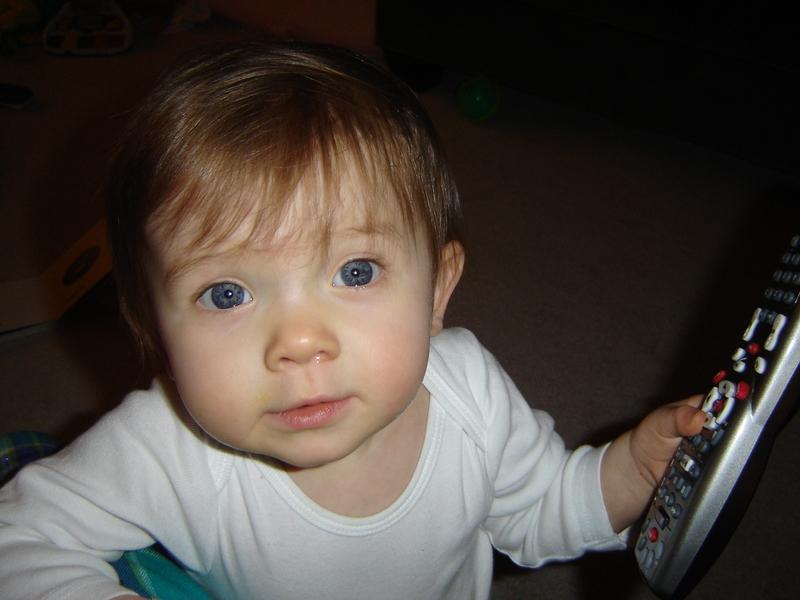 We can give them any toy in the world, but the remote and the cell phone are by far the coolest. I think it’s because they see us using both all of the time.